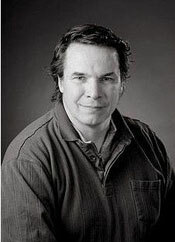 Greg Mortenson: In The Dressmaker of Khair Khana, Kamila and her sisters sew a collection of wedding dresses overnight for a wedding party they later find out is connected to the Taliban. How did writing this book affect your view of the Taliban period? 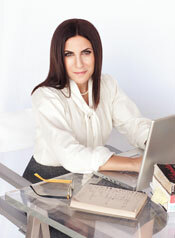 Gayle Tzemach Lemmon: That scene in the book captures precisely the extraordinary complexity of the period. Reporting on the Taliban period I quickly learned there were many different views of what those years were like, depending on who you were, what you did, and where you lived. A lot of women I knew, including, of course, Kamila, told me stories about local Talibs who knew of their work and even helped them to keep it going. And they said that many of the Taliban in their neighborhood were men they had known for years who simply needed to support their families. What I kept coming back to—and what moved me deeply during so many conversations with young women , some of them tearful—was the raw loss they felt at having been deprived of five and a half years of education. And yet even amid all that despair they found ways to come together to build a community for the sake of their families. We are so used to seeing women as victims of war to be pitied rather than survivors of war to be respected. I really hope The Dressmaker of Khair Khana does its small part to change that. Entry filed under: Uncategorized. Tags: afghanistan, developing world, development, economic development, entrepreneurship, gayle lemmon, Greg Mortenson, taliban, The Dressmaker of Khair Khana, women, women's development.